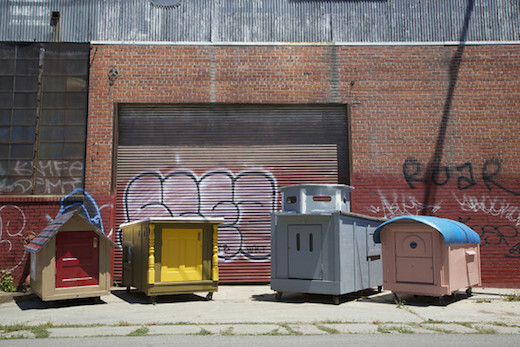 Artist Gregory Kloehn has been quietly addressing the problem of homelessness in Oakland by building a number of unique, tiny homes for the homeless using repurposed and salvaged materials. This initiative is called the Homeless Homes Project and through it, Gregory has already provided several homes for the area’s homeless. To build the homes, he uses primarily illegally dumped garbage and industrial waste solving several problems at once. 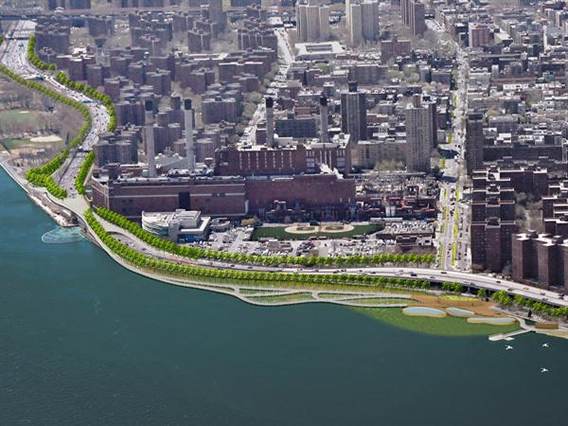 Previously covered on Jetson Green, the E.D.G.E. 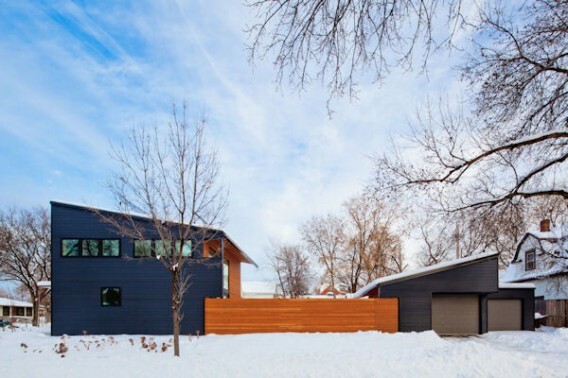 (Experimental Dwelling for a Greener Environment) House was a 360-foot modular concept home that was designed by Revelations Architecture and won the AIA Small Projects Award in 2011. Taking inspiration from E.D.G.E., architect Dan Yudchitz collaborated with his father, Bill Yudchitz who is principal architect for Revelations, on his Essential House. Tiny houses have found homes as hotel rooms at Caravan Tiny House Hotel, which celebrated its grand opening in the Alberta Arts District, a neighborhood in northeast Portland, Oregon, on July 27, 2013. Owners Deb Delman and Kol Peterson say that one of the goals of Caravan is to showcase the tiny home lifestyle. 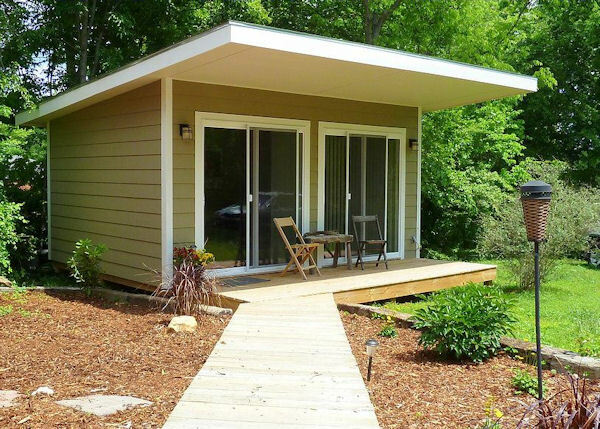 Three unique units (Rosebud, Pearl, and Tandem) share the common area outdoors that includes covered seating, a hammock, a barbecue, and a fire pit. In a hostel-like environment, visitors are encouraged to socialize. 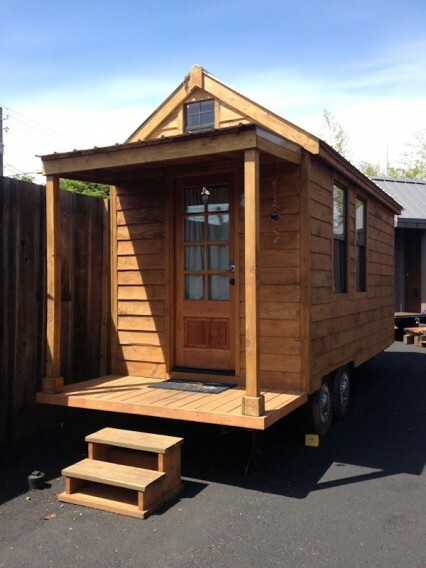 Hummingbird Tiny Spaces is a company in Nashville, Tennessee that builds small outdoor living spaces that can be used for storage or dwellings. Owner Will Yount has more than thirty years experience in home building and maintenance. He and his family hand pick materials with a focus on providing affordable quality over quantity, limiting offerings to just a few models and options, and a “do one thing and do it well” philosophy. Looking for a green way to spend your summer vacation this year? Less than a one-hour drive east of Seattle, Washington, you can find the Tolt MacDonald Park & Campground nestled in the Tolt River-John MacDonald Park, which is run by King County Natural Resources and Parks. 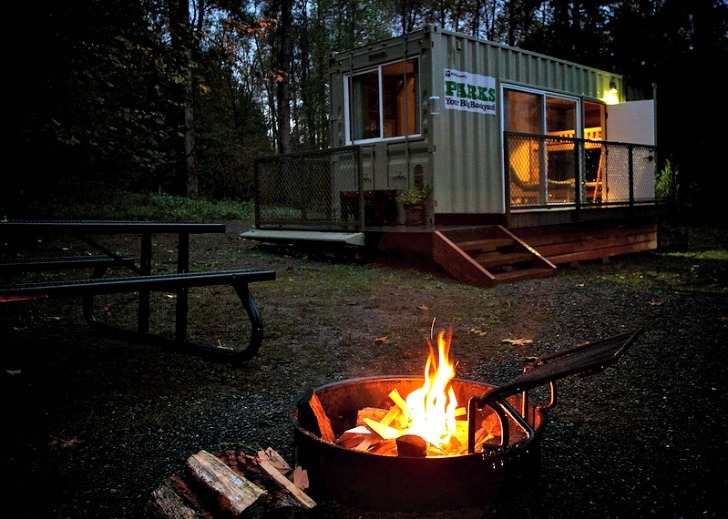 The Tolt Campground unveiled its first new Camping Container last September, an upcycled surplus 24-foot shipping container that utilizes recycled and sustainable materials to provide comfortable accommodations to visiting families (it sleeps up to four in a double/single futon bunk bed and a futon chair that converts to a single bed).